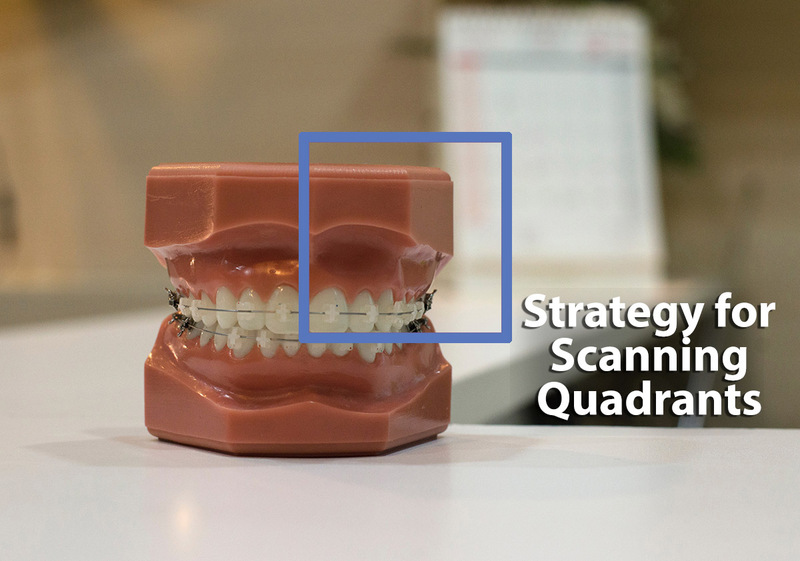 This instructional blog will provide a scan strategy for scanning quadrants. Keeping these tips in mind will help you achieve accurate results for your intraoral scans. 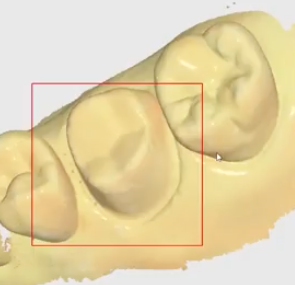 First, to build the main data, find the clearest shape on the occlusal surface to use for scanning. Tilt the tip at a 45-degree angle to the buccal surface to scan the buccal side. Do not tilt it completely in order to ensure that the buccal surface of the occlusion can be shown. For the mandible as well, the occlusal surface must be scanned first. 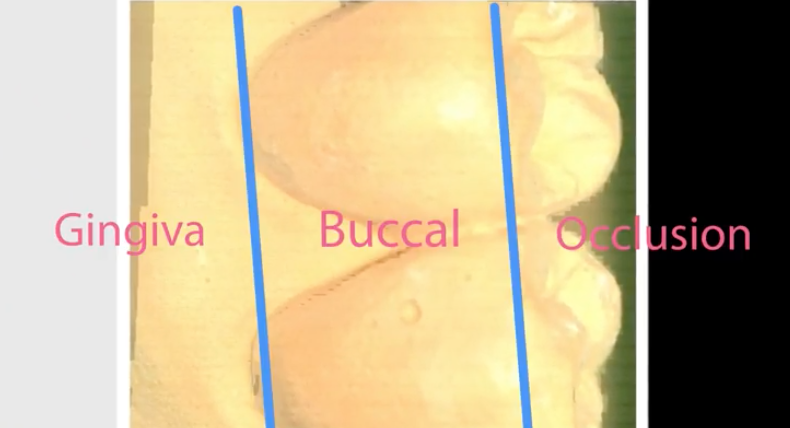 When the tip is tilted to scan the buccal and lingual surfaces, make sure the following four points are all visible on the scanned image: the gingiva, occlusal, buccal, and lingual surfaces. 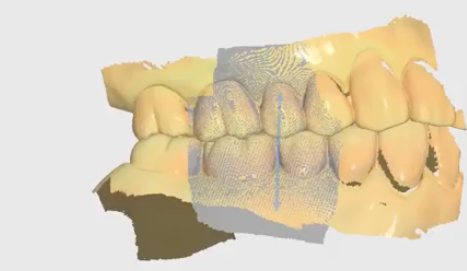 Use the buccal surface scan data of both the maxilla and mandible in order to get the occlusion data. Place the tip right in between the maxilla and mandible and roll the tip up and down to get the scan data. If the vertical data obtained from the upper and lower jaws are insufficient (if the gingival area’s scan is lacking), it will be difficult to align the occlusion. We recommend scanning enough of the gingival area when scanning both the lower and upper jaws. After scanning the occlusal, buccal, and lingual surfaces, the mesial and distal surfaces also must be scanned. In order to scan both of them, you need to turn the direction of the tip at a right angle while scanning the occlusal, buccal, and lingual surfaces. The same thing goes for the interproximal scans; the tip needs to be positioned at a right angle and moved in the desired direction. You can also watch the following video tutorial to review the outlined scanning strategy again.